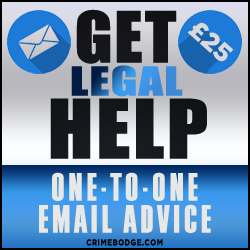 If you need help regarding any of the matters discussed on this website, then I can provide you with full e-mail advice for just £25. My name is Rob Warner, and I am the creator and author of this police-watch website. 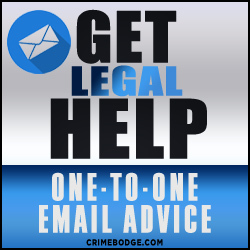 Over the past six years, I have helped thousands of visitors, and published hundreds of articles, over a wide range of civil and criminal matters. 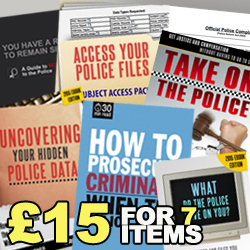 I have also written a series of books that provide resources to anyone who wants to take legal action without having to employ the expensive services of a solicitor. PLEASE NOTE, that I cannot assist you with any of the following issues. Most people who encounter the authorities want quick answers to straightforward questions, such as: “how can I get rid of an harassment warning?,” “how can I get the police to investigate a crime?,” or “should I attend an interview under caution?” No matter where these people turn, they are given the same advice: “Seek legal help”. But how and where? Through the oversubscribed Citizens Advice Bureau? Or by employing the expensive services of a solicitor? Neither of whom are likely to have any practical solution to these types of pre and post prosecution issues. Solicitors are in the business of litigation, not problem solving. 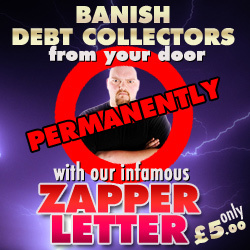 The average retainer for their services is around £250 – £500. An insane price to pay for a straightforward answer. Over the years I have compiled a list of strategies to help people overcome problems with the authorities; all of which is practical advice, in real world circumstances, with proven results. I can tell you how best to approach the situation you find yourself in and any alternatives available. I can tell you what to do when faced by oppressive or probing authority. I can advise you upon effective methods you can use to defend yourself from petty prosecution. I can tell you which administrative processes will penetrate the walls of bureaucracy placed in your way by officials. In short, I can provide you with the answers you are looking for and provide you with the strategy you need. I guarantee you an initial response to your problem within 2 working days. My aim is to give you as much information as necessary to help you find a solution to whatever legal predicament you are in. Rather than telephone advice, where you might struggle to remember all of the advice given, email advice will provide you with a permanent record of how to proceed, including links, documents and organisations that may further assist you. You do not have to provide me with any personal details to use this service except to state your name and email address. As discussions do not take place in live chat, your security is guaranteed. I use an encrypted e-mail server to read and respond to all messages. On conclusion of your GET HELP service, all of your data and details will be deleted, unless you request otherwise. Only your e-mail address will be retained so that I can notify you of any new articles, products or services available on this website that may assist you in future. This website and its services are 100% safe and secure. All the information I provide is legal and ethical. It is advice that has been tried and tested by countless visitors to this site. 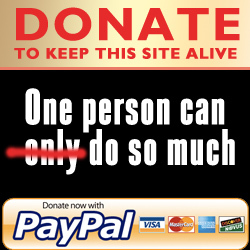 This is not an anti-police website it is a civil liberties resource site. It is not monitored or flagged by the authorities, and no IP addresses are being captured. This is a legitimate help site which has been running without interruption since 2012. I use Paypal exclusively as my payment processor. You don’t need to have an account with Paypal to make payment. They will accept debit and credit card payments as well as Paypal funds. All payments made to this website are covered by Paypal’s buyer and seller protection policies. If you wish to make payment by any other method such as bank transfer, cheque or cash, please contact me in advance to make arrangements. I would love to be able to provide help to you for free, but running this website has become a full time endeavour. The purpose of this site is, and always will be, to provide legal resources to those who have difficulty finding suitable solutions or who have limited means. Therefore I am providing this service at a price that is affordable to everyone. This service will hopefully be all you need to get a resolution to whatever legal problems you are faced with. Please note that I do not provide any assistance to those who engage in Freeman of the Land tactics or any other Organised Pseudolegal Commercial Arguments to defeat minor traffic offences, court summonses or fixed penalty notices. Get help now by clicking on the payment button below. Upon checkout you will be redirected to the ‘GET HELP’ contact form so that you can begin using the service right away. All reviews are genuine and unprompted. If you would like to leave feedback then simply e-mail your comments upon completion of service. Names are kept partial for confidentiality. I have learnt alot from your YT videos. People are utterly ignorant of their rights (as I was only a few years ago) but who can blame them, kids should be taught their rights at school, you would think that would be a pretty important thing to learn before going out into the world? But of course they are not. I can’t believe how much police rely on the ignorance of the general population to manipulate them into incriminating themselves or volunteering information or access they are under no obligation to consent to. I also can’t believe how IGNORANT of the law many/most? police are. They obviously receive very little actual legal training in police college. 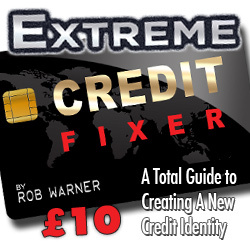 Hi Rob thanx for your prompt and valuable reply its nice to get information which is actually usefull which i can do something with 20 pound well spent indeed. Thank you very much indeed Rob. I consider that full value for a token fee of £20. I will do as advised and obtain copies of the warrant. I thought I would let you know that I have today had the response from the police misconduct unit regarding the officer that covertly recorded me. My complaint has been upheld and it was deemed that he gave me incorrect information concerning the CCTV camera – whereas you did. (thankyou). He is having to attend training on the data protection act and human rights act as I insisted that his phone was seized. This was passed onto the IO who listened to the entire conversation therefore they my allegations were clearly upheld as what he said evidenced them. There is a small light at the end of a long tunnel but had it not of been for me coming across your site and receiving your advice I would not have been any the wiser. Thank you, profoundly. They have given me a formal, written apology. Thank you very much for the letter, I will get this sent today. I’m sure an out of court settlement will be their remedy. Not only is it the principle, hopefully this will teach them the seriousness of data protection. Thank you again. I will definitely recommend your services to anyone in the same position or to do with police matters. Thank you for your great advice. That all make sense. Thank you for your reply and the much needed advise. This whole process has been so demoralising. I feel abused and have no faith whatsoever in the police, and little if any, in the courts. The system is certainly not what it portrays itself to be. And the police complaint process is a complete farce . They are more corrupt than any criminal. I have found it a very lonely road to be walking along because there has been no-one to turn to for help or advise, until you. Your website is more honest and truthfull than the majority of people would understand because there seems to be a blind faith in the authority, that be. I think it is extremely sad that so much distress is caused in the persuit of the truth within a system that advocates justice,truth and transparancey. You are a light in what otherwise, is a very dark place. I aim to carry on my battle,so will be in need of your help again , no doubt.. Your get help service ,is invaluable. I am grateful, indeed, that your system is so affordable. And humbled at the value of what you provide. I try to choose my words carefully because i try to convey the true meaning of what i say. I hope that it warms your heart to know what a good thing you do. Many, many thanks again for your professional advice and attachment. We now have had a little time to compose ourselves since Sunday, and have since studied the recording we made of the visit. We are both deeply grateful again for your kind consideration of and assistance in this matter. Thanks for the reply and appreciate your honesty. By the way I love your videos they have been a real help to me and are extremely interesting and comforting for people like me who haven’t had much experience of stuff like this. Cheers Rob, thank for your help, much appreciated. I going to have to brush up on my UK laws. Fantastic. Thanks so much for your help. Thank you so much for your quick reply, you have given me some hope. I always find your responses to be prompt and highly informative, so thank you. And it’s good that lots of people are using your services. Appreciate your swift responses and help. Thank you for your detailed response, it’s very helpful in that it more or less confirms what I suspected. Thanks so much for the comprehensive reply – most educational. Can’t thank you,enough Rob. Just needed to hear that ! Wow Rob, thank you so much for your detailed response. I wasn’t sure what to expect but your advice and knowledge is very impressive, so I thank you for sharing that with me. So grateful for the prompt reply. This will go some way to settling things down. Thank you for your incredibly detailed and helpful response. Thank you so much for your previous advice. It has been a great help in calming me. Hope you are well, my names Barry, you,ve helped me in the past and ive pretty much downloaded every e-book on your amazing website. Your website has probably saved more people, me included than you could imagine so thankyou..
After receiving your advise regarding the matter aforesaid you were able to put my mind at rest totally. I found your advise very knowledgable and did not realise that actually as a law abiding citizen I in fact do have rights when dealing with the police force. I would urge anyone suffering intimidation, injustice or are being treated unfairly by the police force to get in touch with you Rob Warner, as I’m sure he will endeavour as he did me to offer help and advise. Many many thanks for the information – Have to say, more coherence, logic and explanation has come out of your last 2 e-mails than in almost a year of ludicrously expensive barristers over the last year! Thank you f0r your email Rob. The included documents along with a few others I did not send were from that solicitor. I am glad you out them to bed. I appreciate your advice. “I appreciate your advice. I will continue to look through your site for helpful hints and once again thank you. My mind rests a little more easy.